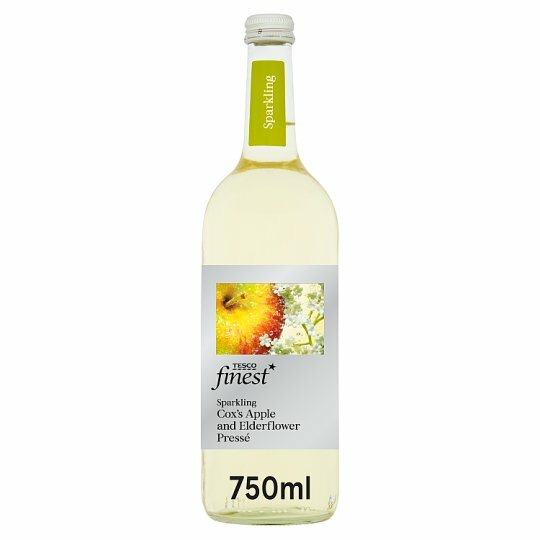 Lightly sparkling soft drink with spring water, apple juice from concentrate, elderflower extract, sugar and sweeteners. INGREDIENTS: Carbonated spring water, Apple Juice from Concentrate (8%), Elderflower Extract (3%), Sugar, Flavourings, Citric Acid, Sweeteners (Sucralose, Steviol Glycosides). Store in a cool, dry place and out of direct sunlight. Once opened, keep refrigerated and consume within 3 days.